I used to dread Philadelphia International Airport (PHL). Now it has become one of my favorite layovers on the east coast. Yes, you read that right... I am actually enjoying my connections at PHL thanks to last autumn's opening of the American Express Centurion Lounge in Terminal A. I've written about the Centurion Lounges before, and while the PHL edition doesn't boast nearly as much physical space as the lounge in Dallas, its combination of bright modern spaces, excellent cuisine designed by local-Philadelphia award winning Israeli Chef Michael Solomonov, thoughtful wine and cocktail lists, and always warm hospitality makes it one of my favorite airport lounge experiences in the United States. It's finally worth singling out PHL for your next layover! 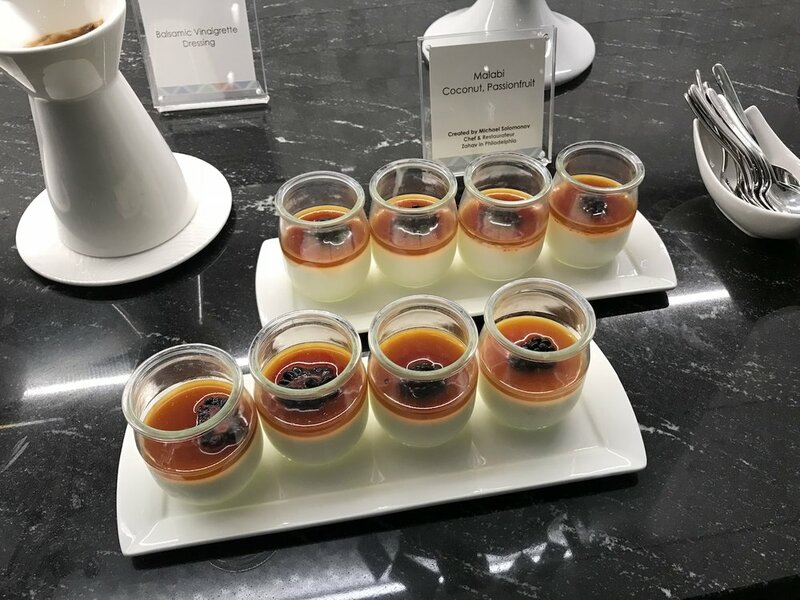 Further reading: Is the AMEX Centurion Lounge worth it? At Dallas - Fort Worth, resoundingly yes! 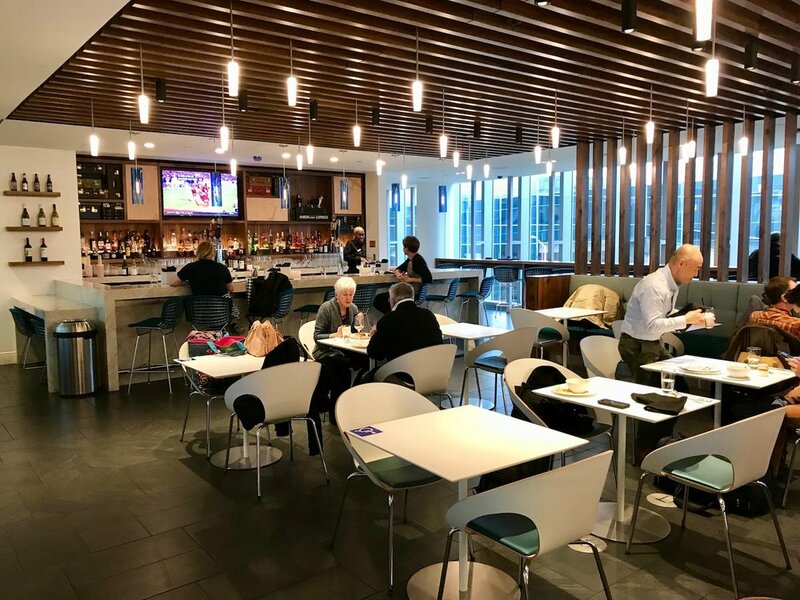 You'll find Philadelphia's Centurion Lounge in Terminal A West, near Gate A14 and just a couple moments walk from Terminal B. It's location places it quite close to international departures, and within striking distance of many domestic arrivals and departures American Airlines is operating out of its hub here. Passengers traveling on smaller regional planes out of far-away Terminal F should avail themselves of the shuttle bus that leaves from a point between Terminals A and B, again just a couple of moments from the Centurion Lounge's door. I made the journey from the lounge to my gate in Terminal F in about 15 minutes last week, but give yourself some extra breathing room if you don't know the landscape or aren't packed to move hastily. Folks at the front desk offer friendly greetings on entering. You'll be asked to present either your American Express Platinum Card (personal, business, or corporate editions are acceptable) or Centurion Card (i.e. the mysterious AMEX Black card, if you find yourself lucky and wealthy enough to have one of those). You'll also need a boarding pass showing travel on the same day you are entering the lounge. Mobile or paper are good to go, but standby only tickets are not. Card members can bring in up to two guests, but will have to shell out $50 per person for each additional guest. I actually think the day pass can be a good value, though, if you're the only card holder traveling in a party of (say) 4-6 adults. In that scenario, the card member and two of the guests will have complimentary access, and you're going to pay between $50 and $150 for the passes. So with (say) five people, you're talking $100 ($20 per person when split evenly) for one of the best meals you will find in the airport, plus all you can drink at a legitimate bar. You won't find value like that elsewhere. AMEX likes to tie its in-lounge dining situation to some sort of local strand. While Mediterranean cuisine in general and Israeli in particular isn't exactly what most of us think of when we think "Philadelphia", the entire buffet lineup was created by aforementioned Philadelphia-local and award winning Israeli Chef Michael Solomonov. The dishes on the buffet seem to rotate from day to day, and I've yet to repeat over three recent visits. Think stuffed peppers, lamb meatballs, and lots of rice, couscous, and chickpeas. The bar is really spectacular by airport standards. I've enjoyed pretty reasonable white, red, and rosé wines that far exceed anything you'll find in a domestic U.S. airline lounge as well as -- again -- locally inspired cocktails such as the Liberty Bell Ringer, a twist on the gin sour that I've ordered several times. Pennsylvania and New Jersey are, unfortunately, not the world's most prolific producers of fine wine... so they've had to look a bit further afield for those. All drinks are complimentary, though for the love of God please do not fail to leave a cash tip for the great people who pour you drinks. Pretty typical classic Sauvignon Blanc from Marlborough in the north of New Zealand's South Island, the Wairau River is a bit on the grassy side, with aggressive lemon citrus that settles into lychee. It's far more mellow at the front of the palate than in the back. 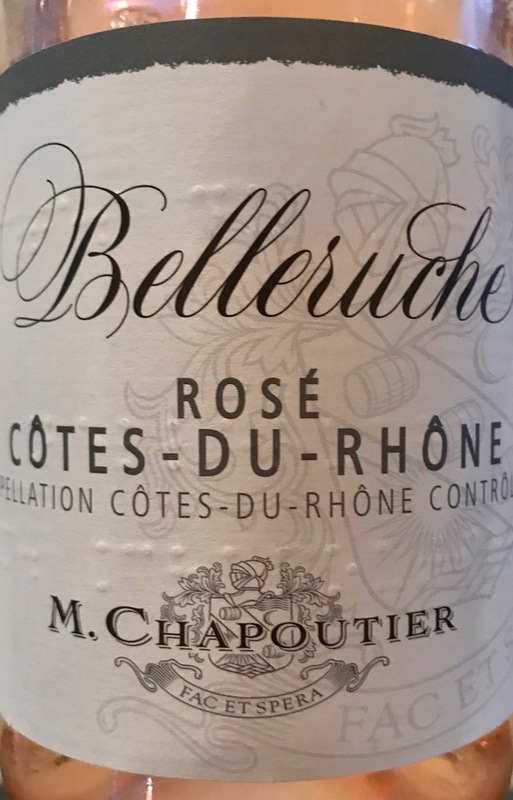 This Côtes du Rhône rosé shows as a light, delicate pink color in the glass. Nose is mild with a little rhubarb that mellows into far gentler strawberry and cream after just a moment. It's profoundly agreeable on the palate, easy drinking yet elegant. Strawberry notes feel sophisticated, yet gentle. A good rhetorical fit with the city of Philadelphia, in whose airport's American Express Centurion Lounge we tried it, this Cabernet Sauvignon from Lodi, California, is part of a series of bold, red, founding-father themed reds produced under The Federalist label. Its Cab-characteristic red fruit is boisterous, with strong cigar notes in the nose. And then… ummm… yeah it's totally different on the palate. Shockingly smooth and gentle compared to what we expected from the nose. Think mellow pipe smoke, gentle tannins, and dark red fruit. Slate tile floors, stone surfaces, trendy lights, wood accents, and always clean spaces make the lounge a delightful place to spend time. I've found that table availability in the restaurant can get a bit tight at peak hours, which leads me to my only real complaint about the place: It's smaller than what I think its demand will end up being. This isn't exactly something to fault AMEX for, though. An airport only has so much lounge space, and AMEX has done a really nice job with what they have here. 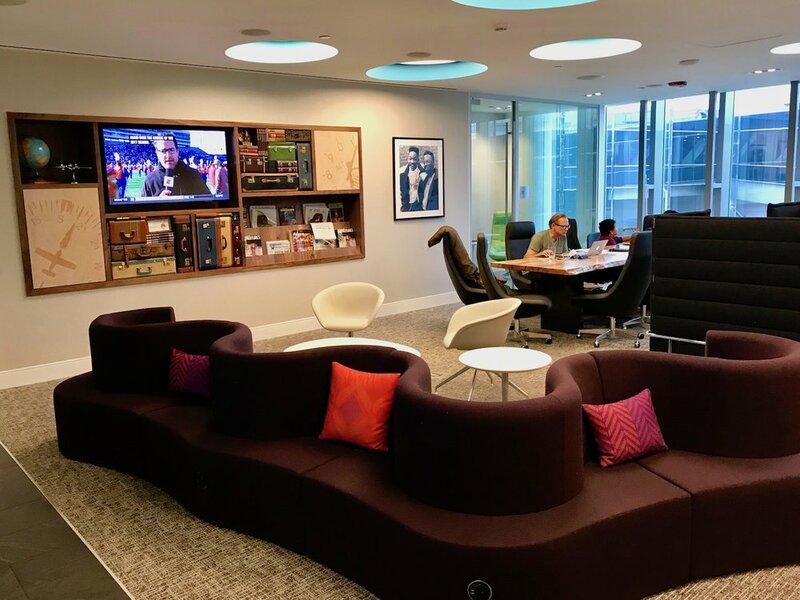 Explore a bit deeper into the facility and you'll find a nice little living room and work space, clean restrooms, and shower facilities to wash away your red eye (or daytime) travel experience. What can I say? AMEX has done a great job with their new Centurion Lounge in Philadelphia to the point where I am now proactively selecting PHL (over, say, Charlotte) if I have to lay over. American Airlines passengers will be most served by this, but for the moment I'd even count it as a reason to go with American over other airlines whose hubs don't feature a Centurion. Go try it out!